A bright, white smile says a lot about you. It lets others know that you value your appearance. It gives you the confidence to speak to people easily. It attracts people to you because everyone loves a great smile. If you haven’t had cosmetic teeth whitening done in the past, now is the time to explore that option. Prepare for an upcoming interview, special event or photoshoot with a teeth whitening session at SmileLabs of Olean. Not only is it an affordable option for all types of budgets, it’s also fast and pain-free. If that isn’t something to smile about, what is? You can have your teeth cosmetically whitened for a fraction of the cost of what your dentist charges. More importantly, you’ll gain a boost of confidence that will help you succeed at whatever you set your mind to. Depending on how much time you have to devote to commercial teeth whitening, you’ll see the color of your teeth become 8-10 shades whiter in as little as 40 minutes. Take your lunch hour and make it mean something. 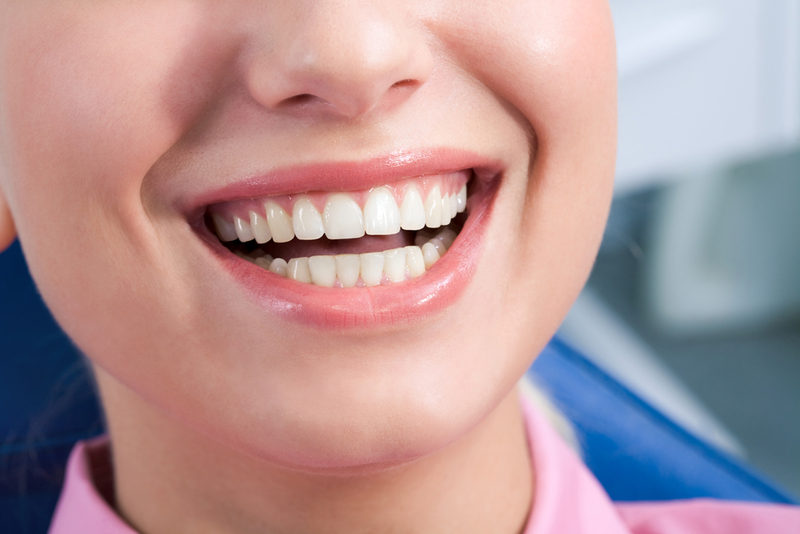 You’ll feel great about yourself when you see how different your teeth look in just one whitening session. There are no messy bleaching trays to deal with. In fact, the three step process that we use makes it so we can whiten your teeth optimally. The first step entails getting your current tooth shade so you can see what a difference our services make on your smile. Next, we use a teeth whitening gel that is photosensitive. It’s safe for your enamel and painless. It gives you the fastest results. Last but not least, our LED activator light accelerates the teeth whitening process. It enhances the brightness of your smile. It’s as easy as 1-2-3 to have a smile that you’re proud of.